International Journal of Research in Health Sciences,2014,2,3,911-919. 1,2-Assistant Professor. 3-Professor and HOD, Department of Community Medicine, Christian Medical College and Hospital, Ludhiana, Punjab, INDIA. Introduction: Pregnancy is normal physiological process but under some circumstances it constitutes a high risk of morbidity and mortality. Many women do not die of causes related to pregnancy but suffer severe morbidities. In developing country like India, pregnancy related complications are the leading cause of disability among women of reproductive age group. Objectives: To study the pattern of obstetric morbidities and health care seeking behaviour among rural women of reproductive age group. Design: Cross-sectional study Setting: 4 villages in Ludhiana district, Punjab, India Sample: A total of 400 women of reproductive age group were selected by systematic random sampling from a department database. Methods: Women who reported a pregnancy were interviewed about the illnesses that they experienced during last pregnancy, childbirth and postpartum period, with the help of questionnaire. Details were obtained regarding their health care seeking behaviour for their morbidities. Results: Seventy nine percent of the women had experienced one or more morbidity during pregnancy period. The most reported pregnancy-related morbidities were nausea/vomiting (38.5%), pain in lower abdomen (17%) and swelling in leg, body or face (16.8%). In the case of postdelivery morbidity, engorgement of breast (8.8%), high grade fever (7.5%) and excessive vaginal bleeding (4.0%) was the most reported morbidity among women. Conclusion: Educated women, those receiving full ANC checkups and women who underwent institutional delivery had reported more number of morbidities. 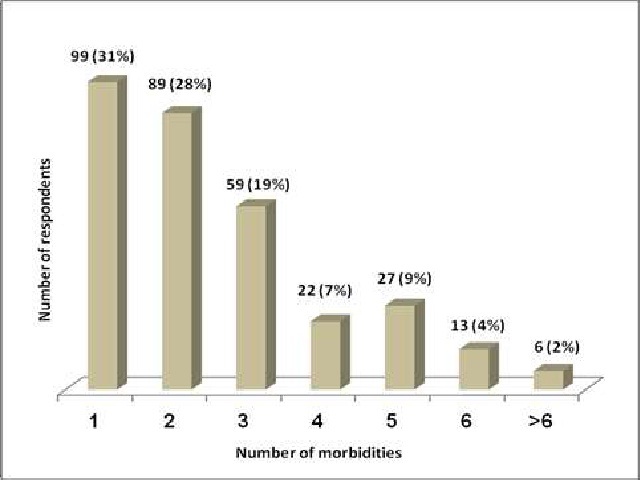 Education and Type of delivery were significant predictors of obstetric morbidity.